Bosnia and Herzegovina, sometimes referred to simply as Bosnia, is a country in Southeastern Europe on the Balkan Peninsula. It has had permanent settlement since the Neolithic Age. By the early historical period it was inhabited by Illyrians and Celts. Christianity arrived in the 1st century, and by the 4th century the area became part of the Western Roman Empire. Germanic tribes invaded soon after, followed by Slavs in the 6th Century. 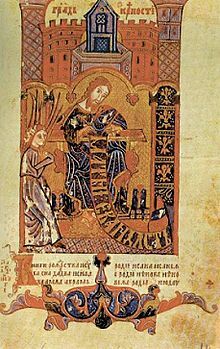 In 1136, Béla II of Hungary invaded Bosnia and created the title "Ban of Bosnia" as an honorary title for his son Ladislaus II of Hungary. During this time, Bosnia became virtually autonomous, and was eventually proclaimed a kingdom in 1377. The Ottoman Empire followed in 1463 and lasted over 400 years. They wrought great changes to the political and administrative system, introduced land reforms, and class and religious distinctions. 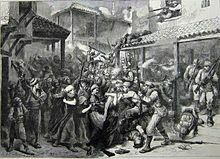 A series of uprisings began 1831, which culminated in the Herzegovinian rebellion, a widespread peasant uprising, in 1875. 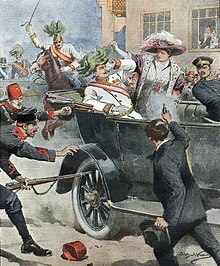 The conflict eventually forced the Ottomans to cede administration of the country to Austria-Hungary through the Treaty of Berlin in 1878. The establishment of the Kingdom of Yugoslavia in 1929 brought the redrawing of administrative regions into the Kingdom of Yugoslavia which purposely avoided all historical and ethnic lines, and removed any trace of Bosnian identity. The kingdom of Yugoslavia was conquered by Nazi forces in World War II, and Bosnia was ceded to the Independent State of Croatia (NDH), which led to widespread persecution and genocide. Three years of war began in 1992 which caused around 100,000 deaths and 2 million refugees. The Bosnian language is the standardized variety of Serbo-Croatian mainly used by Bosniaks. Bosnian is one of three such varieties considered official languages of Bosnia and Herzegovina, along with Croatian and Serbian, and also an officially recognized minority or regional language in Serbia, Montenegro, and the Republic of Kosovo. Republika Srpska is one of the two political entities that compose Bosnia and Herzegovina, the other being the Federation of Bosnia and Herzegovina. Situated in the northern and eastern parts of the country, it is defined by its rich natural heritage, encompassing dense forests, mountains, and rivers. Its largest city and de facto capital, on the river Vrbas, is Banja Luka. 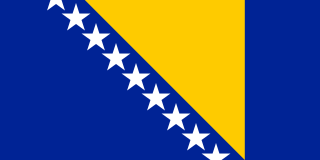 The Federation of Bosnia and Herzegovina is one of the two political entities that compose Bosnia and Herzegovina, the other being Republika Srpska. The Federation of Bosnia and Herzegovina consists of 10 autonomous cantons with their own governments. 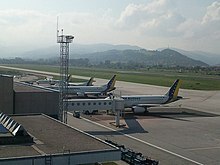 It is inhabited primarily by Bosniaks and Bosnian Croats, which is why it is sometimes informally referred to as the Bosniak-Croat Federation. It is sometimes known by the shorter name Federation of B&H. More than 96% of population of Bosnia and Herzegovina belongs to one of its three autochthonous constituent nations: Bosniaks, Serbs and Croats. The term constituent refers to the fact that these three ethnic groups are explicitly mentioned in the constitution, and that none of them can be considered a minority or immigrant. The most easily recognizable feature that distinguishes the three ethnic groups is their religion, with Bosniaks predominantly Muslim, Serbs predominantly Orthodox Christians, and Croats Catholic. Islam is the most widespread religion in Bosnia and Herzegovina. It was introduced to the local population in the 15th and 16th centuries as a result of the Ottoman conquest of Bosnia and Herzegovina. Muslims comprise the single largest religious community in Bosnia and Herzegovina (51%). Šamac is a town and municipality located in the northeastern part of the Republika Srpska, an entity of Bosnia and Herzegovina. As of 2013, the town has a population of 5,390 inhabitants, while the municipality has 17,273 inhabitants. Greater Croatia is a term applied to certain currents within Croatian nationalism. In one sense, it refers to the territorial scope of the Croatian people, emphasising the ethnicity of those Croats living outside Croatia. In the political sense, though, the term refers to an irredentist belief in the equivalence between the territorial scope of the Croatian people and that of the Croatian state. Four major international peace plans were proposed before and during the Bosnian War by European Community (EC) and United Nations (UN) diplomats before the conflict was settled by the Dayton Agreement in 1995. This article is about the Demographic history of Bosnia and Herzegovina, and deals with the country's documented demographics over time. For an overview of the various ethnic groups and their historical development, see Ethnic groups in Bosnia and Herzegovina. Milorad Dodik is a Bosnian Serb politician, current chairman and Serb member of the tripartite Presidency of Bosnia and Herzegovina. Previously, he had served as the president of Republika Srpska between 2010 and 2018, and as the 6th and 10th Prime Minister of Republika Srpska between 1998 and 2001, and between 2006 and 2010. In the 2018 election Dodik was elected as the Serb Member of the Presidency of Bosnia and Herzegovina, defeating one-term incumbent Mladen Ivanić. Some observers have described his rule as authoritarian or autocratic with strong nationalist position. Prnjavor is a city and municipality located in Republika Srpska, an entity of Bosnia and Herzegovina. As of 2013, it has a population of 35,956 inhabitants. The Croats of Bosnia and Herzegovina, often referred to as the Bosnian Croats, are the third most populous ethnic group in that country after Bosniaks and Serbs, and are one of the constitutive nations of Bosnia and Herzegovina. Croats of Bosnia and Herzegovina have made significant contributions to the culture of Bosnia and Herzegovina. Most Croats declare themselves Roman Catholics and speakers of Croatian. 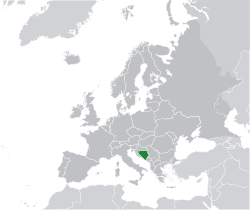 Bosnian–Serbian relations are foreign relations between Bosnia and Herzegovina and Serbia. The modern-day countries both originated from Yugoslavia. The majority of population in both countries speak one of the standard varieties of Serbo-Croatian. 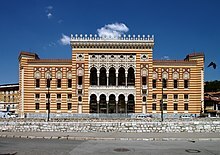 The Dayton Agreement ended the Bosnian War and created the federal republic of Bosnia and Herzegovina (BiH), made up of two entities, the Bosniak and Croat-inhabited Federation of Bosnia and Herzegovina (FBiH), and the Serb-inhabited Republika Srpska (RS). In the first years after the war, the Bosnian Serbs were viewed of as "anti-Dayton", however, since 2000, they are staunch supporters of the Dayton Agreement and preservation of RS. Bosniaks, overall, view RS as illegitimate and would see it abolished. There has been statements in RS regarding a theoretical future independence referendum from BiH in case of abolition. The 2006 Montenegrin independence referendum and Kosovo's declaration of independence in 2008 have raised the issue of RS's referendum and possibility of unification with Serbia. In 2015, RS government SNSD stated it would call an independence referendum in 2018 if RS's autonomy was not preserved, following a crisis in the country regarding judicial and police matters.